When I was growing up the closest thing to a leafy green vegetable on my dinner plate was iceberg lettuce drowned with our family recipe for dressing, consisting of mayonnaise—Best Foods, of course—and ketchup, plus a sprinkling of garlic salt and dried basil. Any other vegetables that appeared were either canned or frozen, mostly peas, corn and beans. When I first heard the word "brassicas"uttered, I had no idea what it meant. But the fact that it was spoken by Frank Morton, the jazz trumpeter of open-pollinated, organic seed-growers, meant that it was important. And that I should immediately find out what they were. Turns out they're a huge family of all kinds of leafy greens like kale, chard and mustards, along with familiar vegetables like broccoli, cauliflower, cabbage and Brussels sprouts. 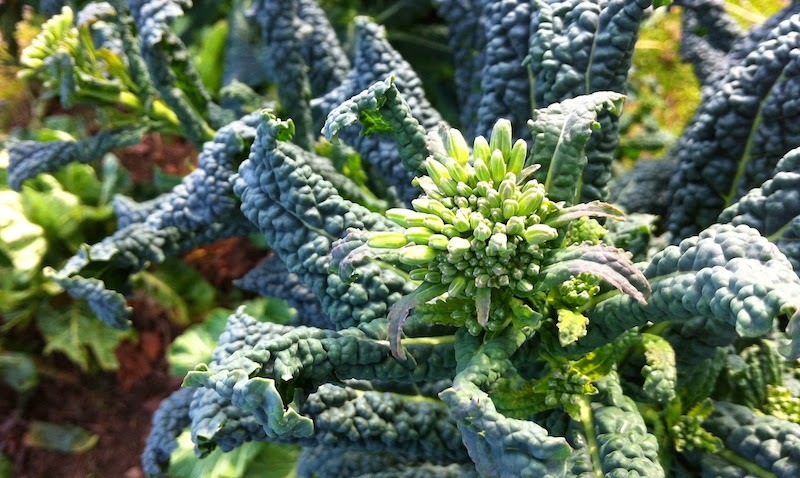 Turned out I was exploring this family, Brassicaceae, at the same time that many chefs were starting to feature braised greens and salads made from kale, chard and mustards on their menus. Bunches of the immature buds of these cruciferous vegetables, often called raab or rabe, were starting to appear on farmers' market stands and stores' vegetables bins. Sweet with a touch of bitterness and incredibly versatile, they could go from a side dish to an entrée and were often best when simply sautéed or lightly dressed with oil and lemon. So it was seriously exciting—and I understand if you think I may need to get out more—when my friend and fellow food writer Laura Russell announced she was writing a definitive guide to my new favorite genus. The result of years of exhaustive research and testing, Brassicas: Cooking the World's Healthiest Vegetables is a cookbook with more than 80 recipes, but it also delves into the history of this group of vegetables and their amazing health benefits, from vitamins and minerals to phytochemicals and glucosinolates. Plus you'll learn about how they act as antioxidants, anti-inflammatories and liver detoxifiers, among other health benefits. Available now for pre-order (it comes out April 8), I'm definitely adding this gorgeous book to my library.